A rich espresso coffee that combines foamed milk and steamed milk added over the hot espresso. 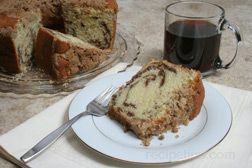 Typically, it is made with equal amounts of espresso, steamed and foamed milk. Additional flavorings are often added such as cinnamon or cocoa. Classic cappuccino, which is similar, is made with only a shot of espresso and foamed milk. A rich espresso coffee that combines foamed milk, steamed milk added over the hot espresso, and then topped with a sweet ingredient. Typically, it is made with equal amounts of espresso, steamed and foamed milk. The topping may be vanilla, chocolate, or coffee ice cream. A type of coffee that is produced with a selected bean, roasted until dark but not burned and brewed with special processes to create a beverage, which is significantly stronger than a traditional coffee. Espresso beans are typically dark brown in color and ground into a texture considerably finer than the traditional grind. 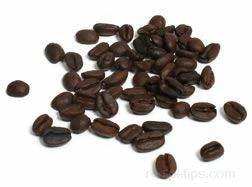 The bean is roasted and then classified as an Italian or espresso roast. Beans that have been roasted longer become darker in color and have a smokier, more burned aftertaste. This type of roast is often considered to be a dark Italian or a French roast. 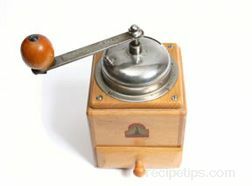 The brewing process to create espresso coffee begins with grinding the coffee to the right texture, not too coarse and not too powdery. 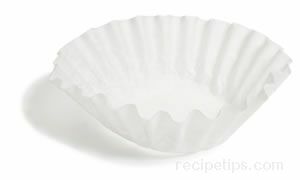 It must be ground to a texture that feels slightly gritty if rubbed between your fingers, but sufficiently fine so it can be packed down into the filter basket, creating a compact and firm base so water cannot quickly fall through the grinds, but instead filters slowly through to absorb and deposit the flavors from the ground beans. If the water is allowed to fall through the grinds too quickly, the flavor becomes watery and very light tasting. A true espresso will produce a somewhat syrupy texture with a rich, strong flavor. The process used for brewing involves pressure rather than a gravity drip of water like traditional coffee brewing. Water for espresso is heated under pressure and forced slowly through the grounds packed in the filter basket, circulating throughout all of the grinds rather than only down through the center of the basket. This process insures a stronger more flavorful coffee with a deeper and richer taste. A variety of coffee grown in the Middle East that provides a very strong flavor and aroma when brewed. The most common use of the term today refers to foods that have a lightly roasted, coffee bean flavoring. Mocha also refers to foods such as café mocha, mocha frostings, mocha candies, mocha desserts, and mocha sauces. A coffee beverage with a slightly chocolate flavor. The ingredients in Café Mocha typically include: half coffee, half cocoa, and garnished with whipped or heavy cream. Occasionally, cinnamon or nutmeg is also added as a garnish. Italian espresso that is modified by adding grappa, an Italian liqueur or brandy. This results in a coffee beverage that provides a distinctive flavor sweetened by the addition of the alcohol. When making this beverage, any liqueur can be added to the espresso to modify the taste. A coffee drink consisting of iced coffee that is sweetened with sugar and topped with whipped cream. A coffee beverage that combines frothed steamed milk with a shot of espresso. Latte macchiato is a beverage that consists of a larger portion (8 ounces) of steamed and frothed milk with a shot of espresso. Espresso macchiato is served with a smaller amount of steamed and frothed milk and a shot of espresso. Café macchiato is made as a cup of espresso containing just a small amount of the steamed milk foam placed on the top of the coffee. A French term used in reference to a small amount of rich, strong flavored coffee usually served after meals in a small cup called a demitasse cup. 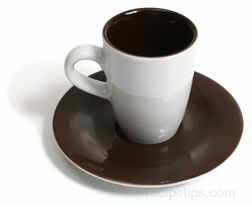 Beverages such as espresso are served in a demitasse cup that is significantly smaller in size than a traditional coffee cup. Due to the strength of the coffee, only a small amount of liquid is served in a cup that typically holds 2.5 to 4 ounces of liquid. 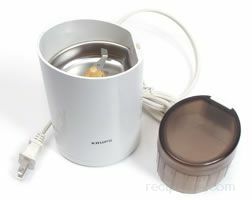 The cup will only be slightly larger than an inch in diameter and between 1 to 2 inches in height. Hot coffee that is sweetened to taste and topped with whipped cream. 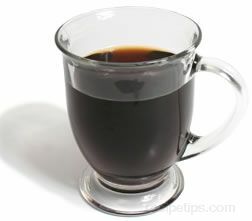 The coffee is generally strong flavored and served in a tall glass. The Magdeburg variety and several other varieties of chicory grow very large roots that can be used as substitutes or additives, providing body and aroma, for a coffee beverage. The chicory root is roasted (then referred to as "succory") and ground into a coffee-chicory blend. This type of coffee is popular in the southern United States and is called New Orleans coffee. A type of coffee that is processed into granules that does not require brewing in order to produce the beverage. The coffee granules can be simply stirred into hot water and then consumed. 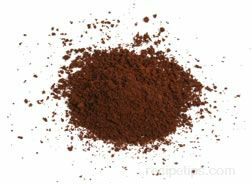 The instant coffee granules can be produced either through a heat-drying process or a freeze-drying process. 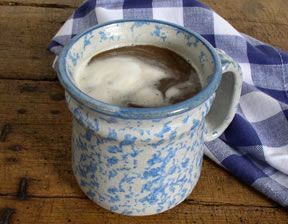 A popular beverage brewed from ground coffee beans that have been processed to remove the caffeine. Since coffee beans naturally contain caffeine, the beans are processed with steam and with the use of filters, which removes almost 98% of the caffeine, leaving a small amount of caffeine remaining in all types of decaffeinated coffee.